We've got snowdrops and crocuses peeking through in our garden, our pretty Camellia is in bloom and on Sunday Mummy managed to hang out some washing to dry. That must mean it's almost Spring and it's time to start thinking about sowing your seeds for this year. Inspired by my treks in the Jungle (slightly overgrown border to Mummy and Daddy) in our garden, this year we are growing some more unusual plants that should still thrive in the UK. Abracadabra! 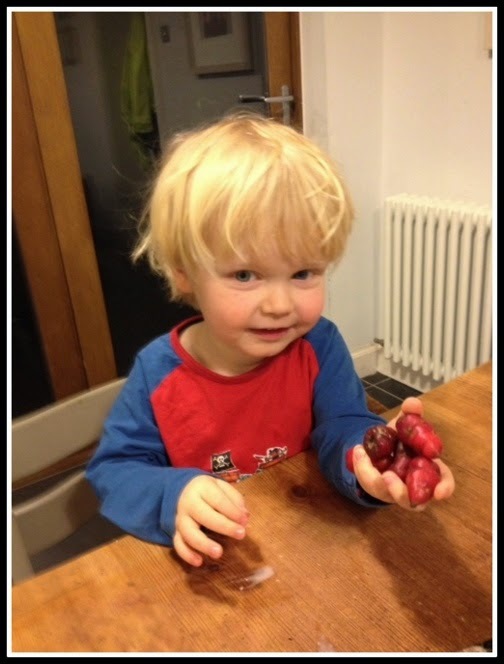 Now these seeds will grow as big as Jack's beanstalk! 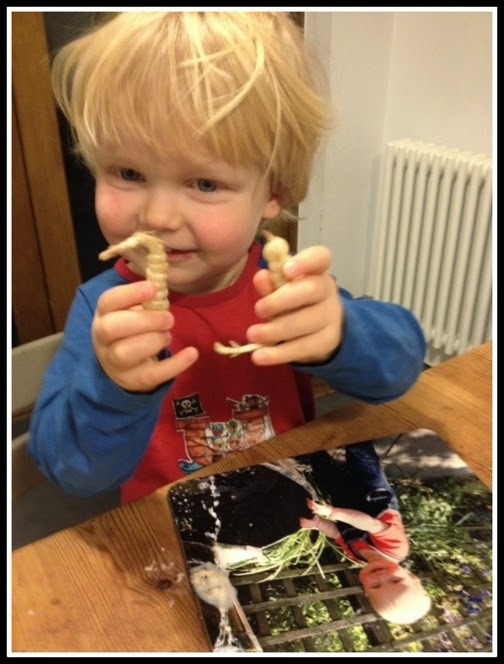 And I've also been trying out some of the gear that Lulu suggested as fab Christmas gifts for gardening kids. Last Spring Lulu did a really helpful blog on expert seed sowing. She explained all about getting ready, what stuff you needed (either home made or bought) and how to do it. So I'll be following her advice this year. As we don't have a heated propagator either we are starting some of our seeds off now. To make my seed trays look lovely and bright even before the plants grow, I'm using some super colourful labels from Wells & Winter. Some of you will already know that we grew 148 tomato plants last year! I'm trying to beat that record this year. I love having slightly unsual tomatoes. Last year the Ildi plants produced heaps of yummy wee sweet tear dropped yellow tomatoes. So we are growing more of them again this year. 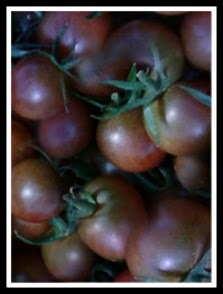 We are also repeating the red cherry tomato Balconi Red which we grew in pots on our patio. A new variety we've not tried before is a black cherry variety called Black opal. How weird do these black tomatoes look? 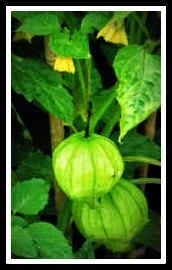 A little bit similar to a tomato and used in scrummy Mexican food is the tomatillo. They also have a very posh name, Physalis ixocarpa Cisineros. Maybe they get called that when they've been naughty? 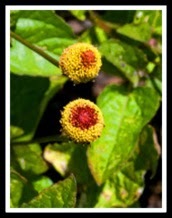 They taste like a tangy lemon and grow inside their own jackets, so should stay nice and warm in our Scottish garden. I've got a coat the same colour as the Tomatillo's jacket! 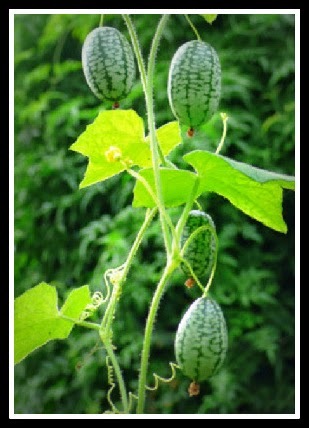 Another experiment from Central America is the cute sounding Cucamelon. These are grape sized bitter cucumbers (Melothria scabra) that taste like cucumber with a bit of a lime zest thrown in, mmm mmmm. They are supposed to be easy to grow as they're resistant to pests and any toddlers who forget to water them! Leaving Central America, let's carry on down into South America as I'm having a go at growing Oca (Oxalis Tuberosa) this year. These are a bit like potatoes but don't get that yucky disease called blight and pests don't worry them either. Plus they fix something called Nitrogen in the soil (I didn't know it was broken!) We have red ones to grow. And we are growing yellow and red Ulluco tubers too (Ullucus Tuberosus). These have an earthy taste and remind me of beetroot when I'm eating them in stews. Slugs like them though so I'm going to make sure my plants are nice and leafy before planting out. The Oca and Ulluco are treated like potatoes. In March I'll leave them in sunlight so the funny sprouts called chits start to grow. I'll plant them in potato bags filled with compost once Jack Frost has stopped coming. I have to be very patient as the Oca isn't ready until the pretty clover like flowers and foliage has all died in November/December. It will be fab having something tasty to dig up and eat in Winter though. Another really weird tuber I'm go into grow with Mummy is the bumpy white Chinese artichoke (Stachys Affinis) that I think looks like a big white caterpillar. The Chinese artichokes look like something from the Hungry Caterpillar! This is another one I'm going have to wait AGES for as well as they won't be ready until December. They can be cooked and used as per Jerusalem artichokes or used in Asian style cooking. Purple mangetout & yellow courgettes complete my more unusual growing rainbow. I can even colour co-ordinate my labels with the colour of the plants I'm growing!! Phew, that's lots of new veg to try, but what about some flowers? I saw this pretty packet of seeds with a butterfly on it and asked Mummy if I could grow some butterflies too. She told it me it didn't contain actual butterfly seeds but a flower called Verbena (Verbena bonariensis) that butterflies, bees and other wildlife really like. I'm in charge of growing those. These little flowers are edible but have an interesting effect in the mouth! So that's most of what I've been starting off indoors for moving to garden later. I also had a go at growing some plants in a wellie boot a few weeks ago. Ok, it wasn't a real wellie boot. On a wet afternoon I used my "rainy day planting kit" Lulu mentioned in her Christmas Gifts blog. It contains a totally cute ceramic wellie boot for growing, the compost and seeds and really easy to follow instructions. My one was for growing mint. How cute is this (the kit, not me!)? It was really easy for me to do and I will be able to re-use the wellie to grow other plants once the mint grows big and strong. I'll let you know how we get on with all that growing. But with electric daisies, oca & ulluco all from South America, it sounds like a really fun and tasty place to explore. So I'm off to look at a map and see how I can get to it before nap time. I'd love to hear if you're going to try out any new produce this year.